We are back from our summer break with lots of great, new interviews, book reviews, and events planned. 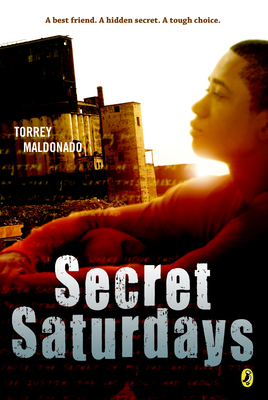 We start today with a Q&A with middle grade author Torrey Maldonado, who is celebrating the release of his latest novel, Tight. This is the sixth in an occasional series about middle grade Latinx authors. We decided to shine a spotlight on middle grade writers and their novels because, often, they are “stuck in the middle”–sandwiched between and overlooked for picture books and young adult novels. The middle grades are a crucial time in child development socially, emotionally, and academically. The books that speak to these young readers tend to have lots of heart and great voices that capture all that is awkward and brilliant about that time. Torrey’s latest novel, Tight, releases TODAY!! Here’s a description of the novel: Bryan knows what’s tight for him–reading comics, drawing superheroes, and hanging out with no drama. But drama is every day where he’s from, and that gets him tight, wound up. But if there’s one thing Bryan’s gotten from his comic heroes, it’s that he has power–to stand up for what he feels. Torrey and his mom. Photo given by Torrey Maldonado. A: My mom inspired me to become a writer. When I was a boy, maybe no taller than a fire hydrant with my Jackson 5 Afro probably bigger than my head, she told me, “I read out loud to you when you were in my belly.” But a lot fought against my Mom trying to build me into a reader and writer. In the Brooklyn Red Hook housing projects, where I was born and raised, and in lots of neighborhoods, boys were and are bullied for our bookishness, and it happened to me. Currently, a buzz-phrase is “safe spaces.” My mom made our apartment my safe space to be bookish. The rapper 50 Cent’s debut album was Get Rich or Die Tryin’. My mom’s attitude was “Get My Kid into Lit or Die Tryin’.” My whole life, her apartment was the only in our projects where I saw a library. For being bookish, I got bullied outside and in school, then cuddled with Ma on our couch as she read to me. When she read and wrote, her eyes always smiled. As I got older, she took me far out of our projects to authors’ readings. She is my heart, loved writing, and admires writers. My motto is “Kids will be what they see,” and it’s fitting that I followed her footsteps. I represent her writing-spirit out in the world. A. I have taught middle school for nearly twenty years. I see my students as me at their ages. The middle school years are “crossroad years” where tweens need direction. Plus, so much of their awesomeness should be spotlighted. I see them unplug from books because a lot of required readings aren’t culturally responsive mirrors and windows. It inspires to give my students and other middle schoolers essential books that I needed at their ages. 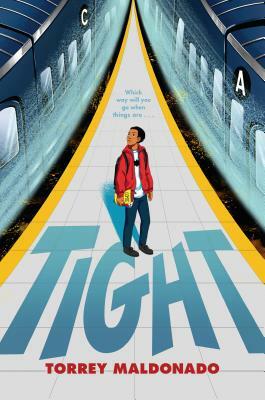 Pretty cool related news: a teacher recently tweeted that Tight is the “most essential reading for middle grade teachers recommending books to their readers this fall.” Let’s hope my middle students and others agree. A. My favorite middle grade novels do for readers what my favorite books did for me. Best books are a fleeting magic carpet-ride out of problems yet show kids the magic around them. They help kids feel that their world is bigger than their zip code. Also, my favorite middle school books are culturally responsive mirrors and windows. Some think books fall in different categories: windows here and mirrors over there. My favorite middle grade books are both windows and mirrors. Torrey in middle school. Photo given by Torrey Maldonado. A. What I’m about to share is what I wish I knew sooner because it would’ve steered me from drama and sped me toward my life goals faster. Here’s my advice: accept and develop all helpful sides of you and know how to code-switch, meaning switch what you show others depending on where you are. My characters of Tight do that. Here’s why accepting and developing all helpful sides of you matters. That perfect person you see over there? They’re not perfect. Everyone is not perfect. That’s a reason Insecure on HBO by Issa Rae is a hit. On it, Issa is herself, a mess, insecure, and quirky with many sides. Millions of people and I love her because we relate. Now, here’s the thing about accepting and “doing you”—you have to know how to code-switch. Issa code-switches when she talks to her boss because she knows what Bryan in Tight knows—you can’t show all of you all of the time. President Obama kicked slang with Jay-Z and Beyoncé then spoke mainstream American English in his White House meetings with advisors. Why code-switch? You see in Tight how you need to shield your candle flame so know one blows it out. Code-switching is a shield. Then the right time comes when you can bring out and shine a different light and others will welcome it. People shielded my light until I learned to shield it, and it helped me be a bullied bookish, insecure, quirky boy who developed his many sides on the DL. In time, I grew into a published book author who is lucky to be invited to shine and share light in cool interviews like this one. A. Middle grade novels are important because middle school youth are awesome, multidimensional, heroic in many ways and all of that should be spotlighted.